Wind and hailstorms are some of the most frequent and severe causes of property damage to American homes, with several billion dollars of losses each year. These perils can not only damage roofs but also result in water losses to the attic, ceilings, and walls. A strong and healthy roof can mitigate the chances of these types of losses. So here are some tips to pass on to your clients to keep their roofs in first-rate condition. You should check the condition of your roof twice a year. Spring and fall are often good times. Start the inspection in the interior of the home. Look for staining on the ceiling or walls, which might indicate leaks from the attic. Go into your attic, if you are physically able, with a powerful flashlight and check for signs of water damage or wet insulation. This assessment will let you know if water has been entering your attic. Use a set of binoculars to inspect the exterior of the roof. Look for signs of warped shingles or flashing. Hire a roofing specialist to go directly onto your roof and inspect it at least once per year or after a major hailstorm. Ask the specialist to take pictures of any problem areas. Make repairs as soon as possible. If your roof needs to be replaced, consider installing impact-resistant roofing to reduce the chances of future hail damage. Clarify with your roofer that the shingles are "tested and rated impact resistant for hail" and that your insurer will provide you a premium credit for them on your homeowners insurance. Diamonds are a girl’s best friend, especially on Valentine’s Day. 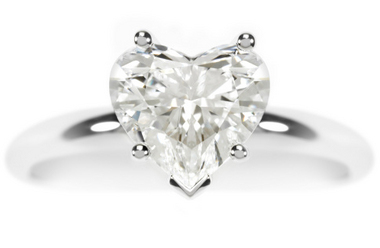 Jewelry is one of the top gifts of all time, and heart-shaped gems are the most popular of the jewelry items gifted, as a sign of love and devotion. But that shiny, new diamond heart needs to be protected. What a shame it would be to have your heart stolen when it’s not by the one you love! Yet theft is the number one cause of loss for jewelry. The majority of jewelry thefts occur when personal jewelry is visible or accessible to be stolen by thieves, coworkers, or even friends. Sparkly new engagement rings are another top Valentine’s Day gift. With the U.S. jewelry market being upwards of $71 billion, $7 billion is spent on diamond engagement rings, making them an extremely valuable investment that warrants proper insurance. Although insuring that diamond ring may not be the first thought when thinking about a romantic proposal, but it should be a top priority. According to crime statistics, diamond engagement rings and wedding rings are most likely to be stolen. Jewelry is a reflection of who you are and connects you to special events and people in your life. The most important way to protect your jewelry is to create a pre-disaster plan that includes inventory, theft prevention and damage from water or fire. It only takes a matter of seconds for a thief to swipe valuable jewelry, but that beautiful ring or bracelet can also lose stones, or be subject to dents and scrapes. Don’t place your jewelry in jewelry boxes or dresser drawers. These places are common to store jewelry, but their commonality makes them the first place that a thief will look. Keep your jewelry in a safe that is fire resistant, UL rated, torch and tool resistant, bolted to the structure and keep it in an area of the home that is not easily accessible. The best place for jewelry storage is an off-site bank safe deposit box. This is a great option for your most valuable jewelry. Have your jewelry appraised by a qualified jewelry appraiser for insurance replacement purposes. Know who has access to your jewelry. There have been several cases of domestic employees stealing jewelry from their employers in the news lately. Being aware of who has access to your jewelry collection, and having background screenings on domestic employees will help prevent any mishaps. Take precautions when you’re wearing gloves. Prongs from rings may catch on the fabric, which could result in loss. Don’t place jewelry in your pockets. If your pockets open, or you run your clothes through the wash, you’re at risk of losing jewelry. Keep jewelry away from sinks, counters and public areas. Setting the jewelry beside the sink when washing your hands or doing the dishes could result in loss, or it could be forgotten or stolen. Prevent damage by removing your jewelry. When performing outdoor activities, including playing sports or doing lawn work, remove your jewelry to avoid damage and place it in a safe location. Have your jewelry regularly inspected. Bringing your jewelry to your jeweler for regular inspections will help you to prevent any damage. Making sure the mountings and prongs are checked once a year can help avoid any loose stones, and prevent accidental loss. Electricity has long been recognized as a serious workplace hazard, exposing employees to electric shock, electrocution, burns, fires and explosions. Every 30 minutes, a worker is severely hurt from electricity requiring off the job recovery. Recovery from electrical shocks and burns is slow and painful. Electrical hazards cause more than 300 deaths in the workplace annually. Electrical accidents rank sixth among all causes of work-related deaths in the United States averaging 13 days away from work and nearly one fatality every day. What makes these statistics more tragic is that most of the fatalities could have been easily avoided with safety awareness. Occupational Safety and Health Administration (OSHA) standards cover many electrical hazards in many different industries. OSHA’s general industry electrical safety standards are published in Title 29 Code of Federal Regulations (CFR), part 1910.302 through 308 – Design Safety Standards for Electrical Systems, and 1910.331 through 335 – Safety-Related Work Practices. OSHA has developed electrical safety standards for the construction industry, in 29 CFR 1926, Subpart K - Electrical. OSHA’s electrical standards are based on the National Fire Protection Association (NFPA) standards NFPA 70, National Electric Code, and NFPA 70E, Electrical Safety Requirements for Employee Workplaces. NFPA 70 has been adopted in all 50 states and is the benchmark for safe electrical design, installation, and inspection to protect people and property from electrical hazards. In states with OSHA-approved programs the standards and other procedures governing electrical safety may not be identical to the federal requirements; however they must be at least as effective as the federal standards. Violations such as lockout/tagout and electrical wiring methods consistently appear in OSHA’s top 10 list of violations. • Insulation - using glass, mica, rubber or plastic insulators. • Guarding - locating or enclosing electrical equipment. • Grounding - creating a low-resistance path that connects to the earth. • Electrical protective devices - fuses, circuit breakers and ground-fault circuit interrupters (GFCI). Job planning - Safety on the job is not something that just happens. Complete a detailed job plan and communicate it to all co-workers. Planning prevents mistakes and injuries from occurring. Identification - Identify all possible energy sources that could pose on-the-job hazards. Deenergizing - The number one way to prevent electrical injuries and fatalities is to deenergize the equipment being worked on. It may take a little more time and planning, but your life and health are worth it. Lockout/tagout - These procedures safeguard workers from the unexpected energization, or startup of machinery and equipment. They can also prevent the release of hazardous energy during service or maintenance activities. Equipment maintenance - Always keep electrical tools properly maintained. Exercise caution - When working near energized lines. Use personal protective equipment (PPE) - As a last line of defense. PPE includes: hard hats, gloves, goggles, safety shoes, flame-resistant shirts and pants, safety glasses, face shields, fall protection equipment, etc. TEST BEFORE YOU TOUCH - Every year workers are injured or killed by circuits they thought were safely turned off. Simply shut-ting off the power is not enough. Hazardous conditions can still exist. Most electrically-related fatalities and injuries could have easily been avoided. Responsibility for your safety begins with you. Take steps to protect yourself every day and make safety an integral part of how you do business.